The annual Melbourne International Flower & Garden Show opened this week in the exquisite heritage listed Royal Exhibition Building and Carlton Gardens for another year of breathtaking and on-trend garden designs. Over five glorious Autumn days, visitors will be inspired by spectacular floral displays, experience masterclasses with floral designers, meet key landscape designers, exhibitors and industry experts, as well as the opportunity to peruse the avenues of exhibitors selling everything from bulbs, plants, tools, trinkets and garden accessories. 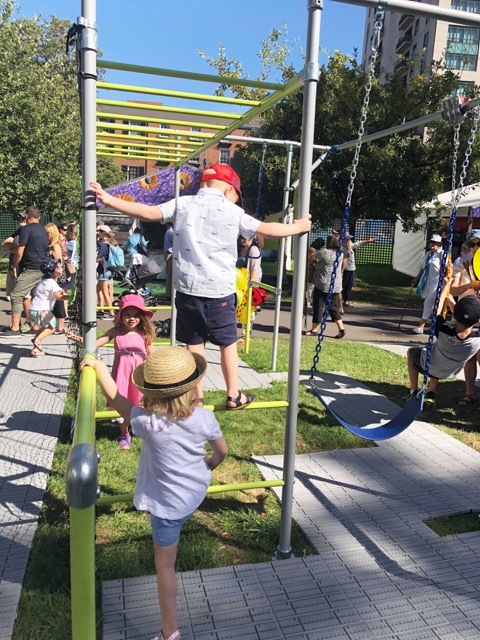 Plus with FREE entry for children 14 years and under and a fun filled program suitable for all ages, the Melbourne International Flower & Garden Show is an excellent event for the whole family to enjoy. Run by the not-for-profit organisation Kids Under Cover, visitors can see five cubby houses - designed by some of Melbourne’s leading architects - that have been auctioned off with all proceeds raised (over $70,000!) being donated to the organisation, assisting with the ongoing prevention of youth homelessness. Little ones will love exploring and playing in the cubbies; including a vibrant blue head, a log cabin, a dream catcher, a cubby you can climb, and one that resembles a giant Connect Four. You can also meet the Deluxe Dog and have your face painted! 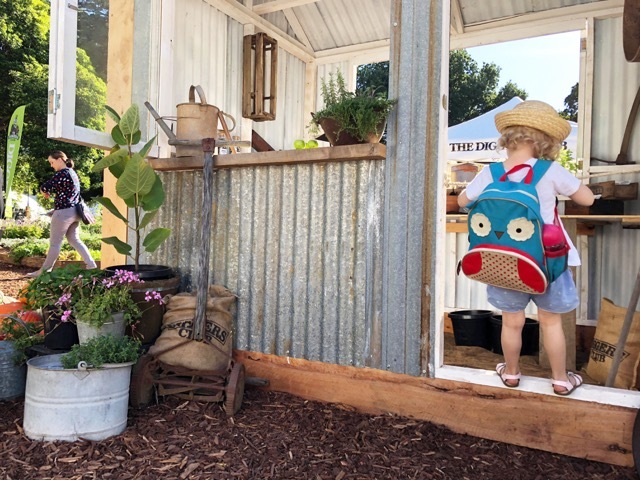 A 1940s-style potting shed and chicken shed made of recycled materials is the centrepiece of The Digger’s Club exhibit this years Show. The poppets stood in awe staring at the heirloom pumpkin display, which has been integrated into the potting shed design. 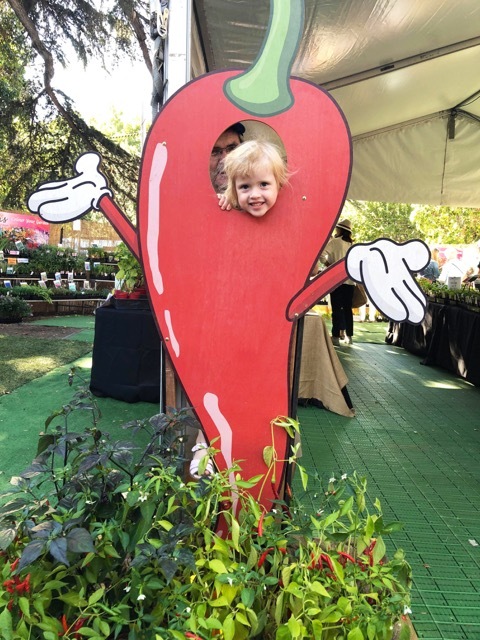 With a focus on backyard gardening, there are several mini gardens on display including a pollination garden to attract bees; a picking-garden of beautiful flowers; a tropical garden featuring rare fruit and a seasonal veggie garden. 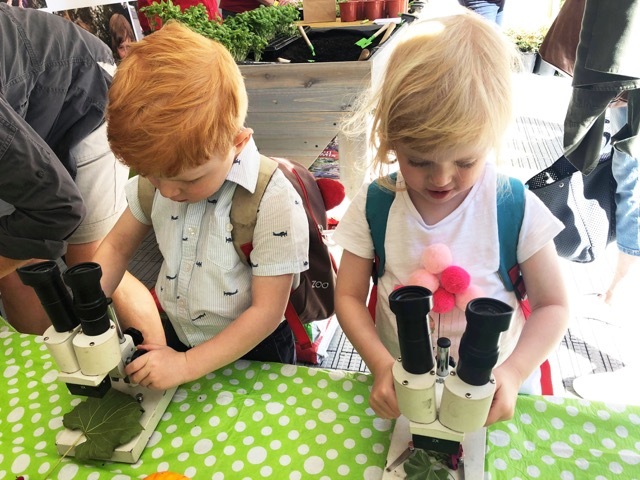 There is also talks on pickling, growing your own veggies, the benefits of worms, building a chook house and taste tests. The poppets loved joining in on the famous tomato taste test! It was really amazing tasting the difference between home-grown, heirloom varieties and the bland offerings found at the supermarket. 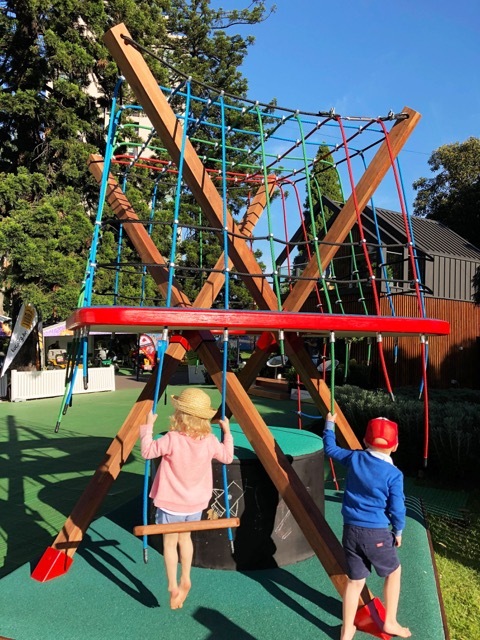 Kids can go bananas on Funky Monkeys Pop Up Playground featuring some of their most popular backyard models. Kids can play on the incredible monkey bars, swings, flying fox, trapeze and the poppets favourite, the fireman pole! 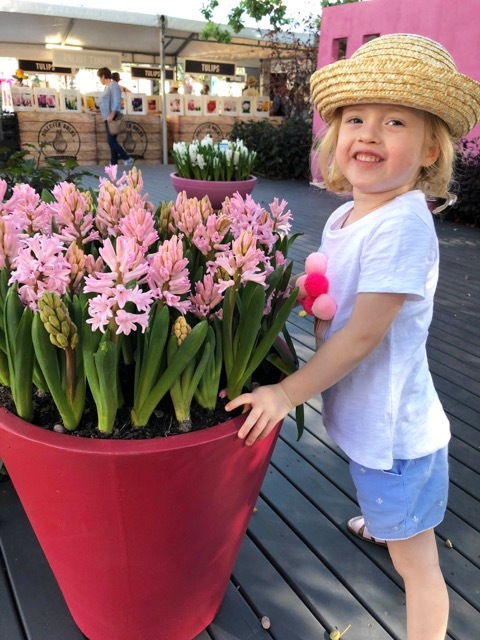 A great spot for little ones to release some energy before visiting the formal floral and garden displays. The Melbourne International Flower & Garden Show provides a true immersion of the five senses. Fully immerse yourself at the Show by visiting each of the five sensory zones - ‘Taste’ where you can discover an edible garden and tantalise your tastebuds, ‘Sight’ where you’ll see The Great Hall of Flowers, ‘Touch’ where little ones can feel the soil between their fingers and pot a plant to take home, ‘Smell’ where you can surround yourself with the sweet scent of lavender, and ‘Hearing’ where you can soothe and refresh your mind and body at beautiful water features. Pre-purchase your tickets online to avoid the queues. Tickets are not day specific so pre-purchased tickets are valid for use on any single day of the Show. We recommend travelling to the Show via public transport as street parking and parking at Melbourne Museum is limited. There are several food outlets at the Show, including well known food trucks, drinks, tea and coffee. You are also welcome to bring your own lunch and snacks from home to enjoy on the lawns. You will also find water stations around the Show to refill your water bottles. The gorgeous trees do provide lots of shade, but don’t forget to pack sunscreen and hats too. The Show is very pram friendly with ramps and ample space to park your pram if necessary too. There is also two designated parents rooms with baby-change and feeding areas located within the Royal Exhibition Building. For more info or to book, head to the Melbourne International Flower & Garden Show website.